Members of the crews working to clean up the BP oil spill are beginning to show signs of illness brought on by the chemical dispersants being used by BP. 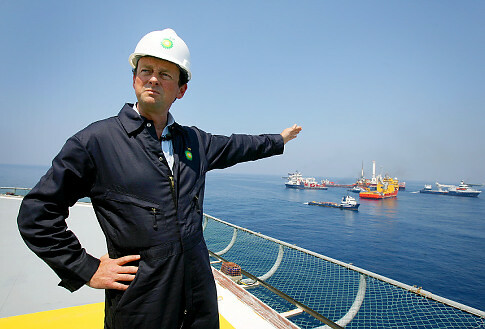 Tony Hayward, CEO of BP, says it was something in the food. Just after BP’s “Top Kill” procedure failed over the weekend, Attorney General Eric Holder announced on Tuesday that federal authorities have now begun both criminal and civil investigations into those involved in the BP oil spill. The President also pointed out how the disaster uncovered the very comfortable relationship between the offshore oil industry and those in charge of supervising it. The oil spill is now in its sixth week; the amount of oil released from the Deepwater Horizon well has now surpassed the amount released during the Exxon-Valdez disaster. It has been over a month since the Deepwater Horizon oil rig exploded and sank, killing 11 workers and serving as the catalyst for one of the most major human mistakes in history. Here is a series of media pieces that will inform and disturb you.